The Esotar Subwoofer also features a unique construction: A massive magnet powers a 75 mm diameter aluminum voice coil and MSP cone diaphragm. MSP provides the ideal combination of stiffness, light weight and excellent inner damping to naturally reproduce the lowest frequencies without distortion. 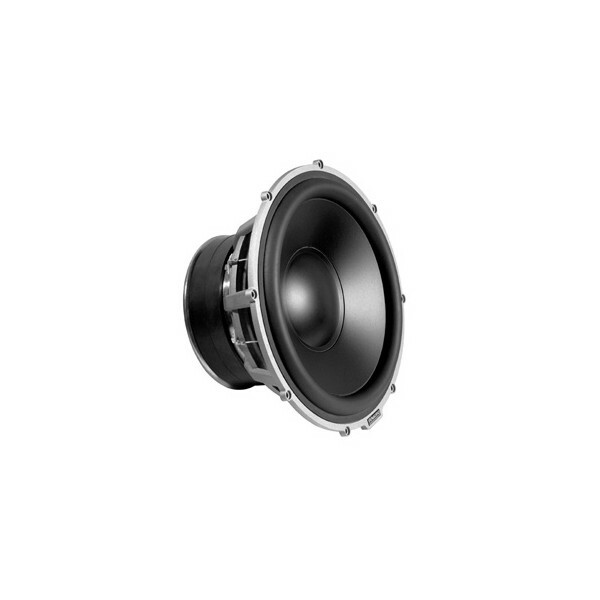 Thanks to the innovative Dynaudio construction with precise parameters and extremely tight tolerances, this 30 cm (12") diameter driver reproduces the highest sound pressure levels down to the lowest notes by precisely following the amplifier�s signal, even at the highest output levels.